Umaibo is a popular Japanese snack, made out of corn in a cylindrical form. Why is it so popular? It tastes good and its small. Most importantly, its cheap at only 10 yen! 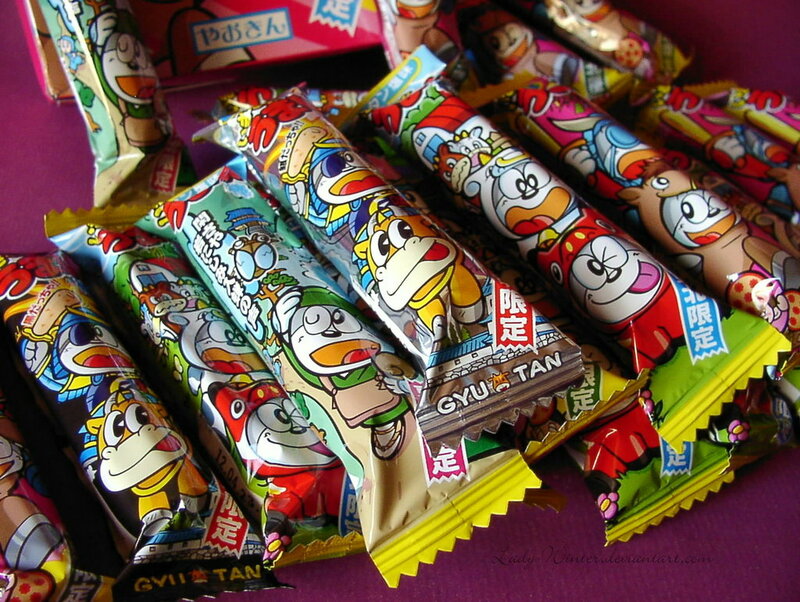 such as chocolate, takoyaki, mentai and many more special flavours. For a long time, the mascot for Umaibo is a cat, Umaemon, which is similar to the popular anime character, Doraemon. Recently, Umami-Chan was unveiled as an added mascot as a younger sister to Umaemon, at the Abeno Loft of Abenozu, Abeno-Ku, Osaka-shi. 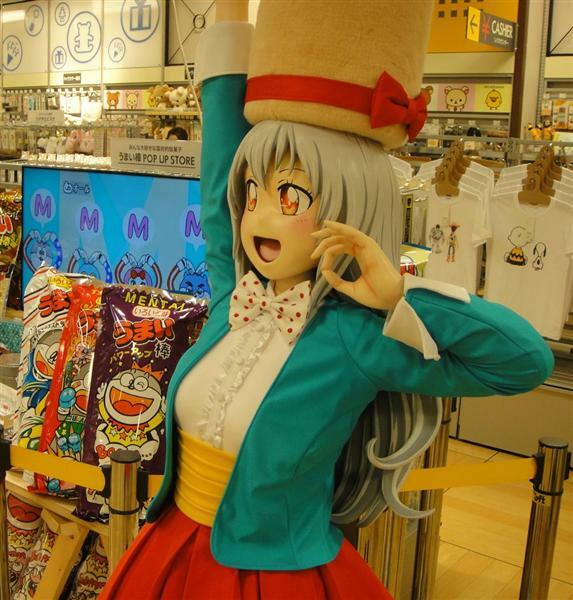 The figure is 153cm tall with a hat that's shaped and coloured like the snack itself sporting grey hair and a turqoise coat. 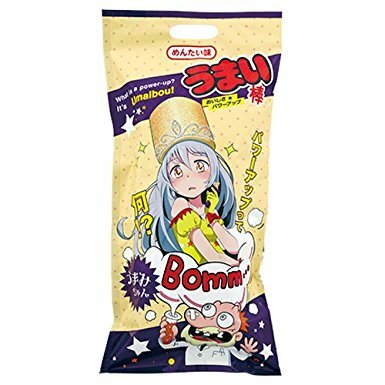 Umami-Chan got her own Umaibo Cheese Flavour pack containing 30 sticks, which was released in Japan in April.